Google introduced its e-book typeface Literata last week, giving Google Play Books a well-needed spruce up. Now Amazon has dropped a similar gift on users of its Kindle iOS app. 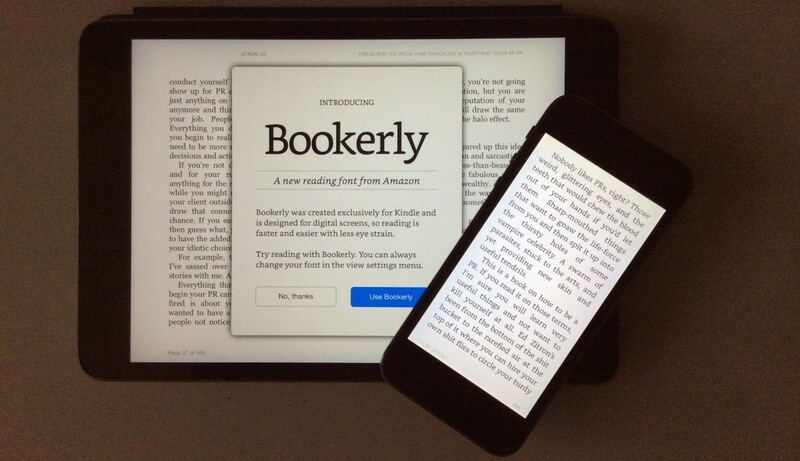 The company quietly introduced Bookerly, “a new Kindle exclusive font designed for reading on digital screens,” on Kindle Fire devices late last year and has been rolling it out across its hardware ever since. Bookerly replaces Caecilia as the Kindle app’s new default font. It’s a custom made serif typeface, which definitely looks better at first glance than its predecessor, a slab serif that’s more suited to headlines than serving as body text. Sadly, users of Amazon’s Kindle apps on other platforms haven’t received an update yet. Though, if you’re desperate, it’s possible to hunt down a copy of the font online and side-load it onto some devices.